Supplement your heating requirements by simply using the energy from the sun. 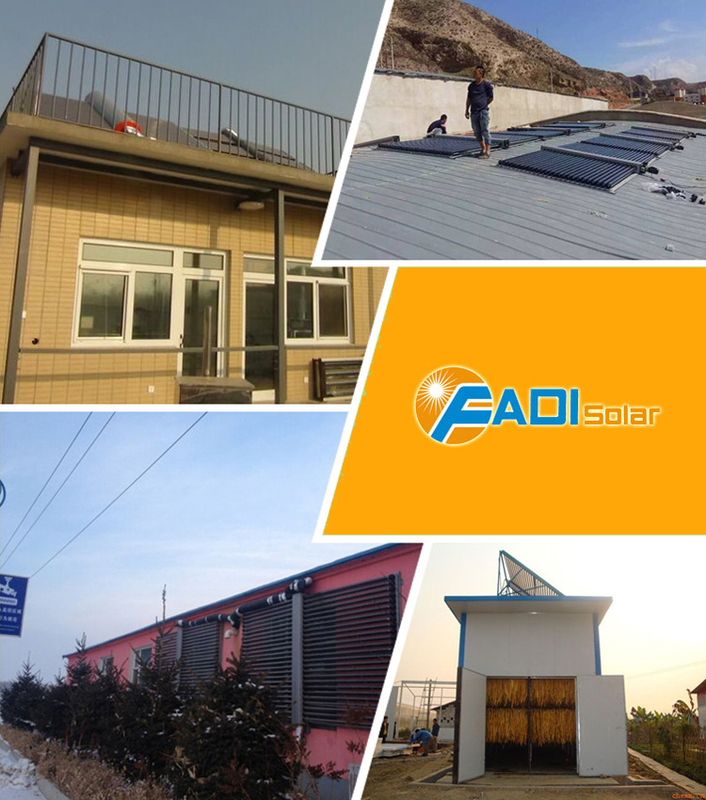 Solar Air Collectors provide you with free, clean energy and have no operation costs. 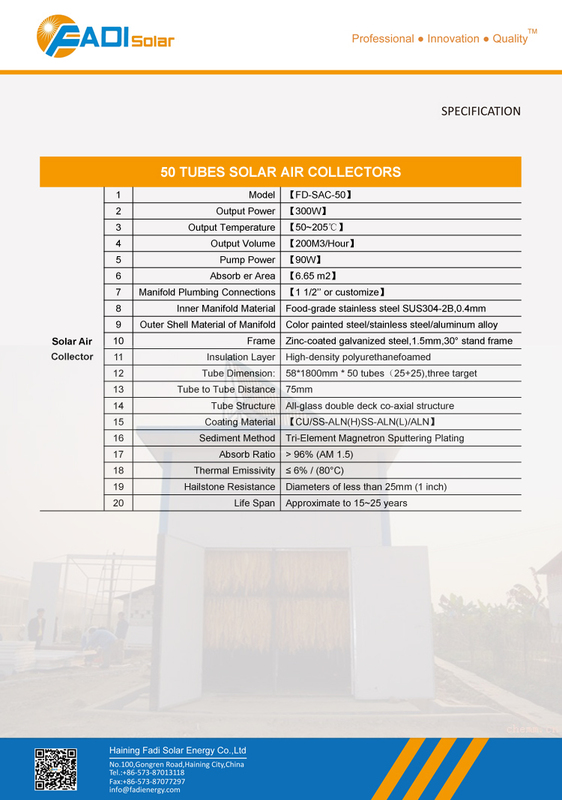 Solar Hot Air Collectors are eco-friendly and cost-effective. There are no operation costs! 1. The sun creates energy that is used to produce heat in the solar hot air collector. 2. The surface of the absorber gradually heats up as the sun hits the collector. 3. Simultaneously, the sun creates energy to the solar panel used to power the circulation fan. 4. Once the circulation fan comes on, cold air is then drawn from the house and enters the inlet of the collector. 5. This cold air gets heated as it passes behind the absorber. 6. The heated air is then pushed back into the home. 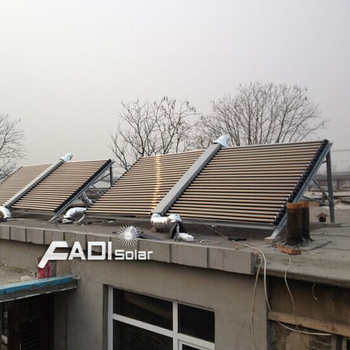 FADI Solar Hot Air Collectors are completely self-sufficient. They do not require any electrical wiring and require minimal maintenance. 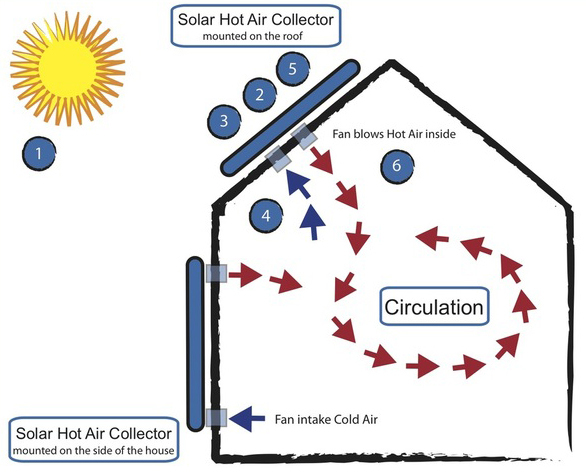 Solar Hot Air Collectors will supplement your current heating system and reduce your heating costs substantially. At the same time, there are no operation costs. Solar Hot Air Collectors use the power of the sun to generate heat. A solar powered fan is used to distribute the hot air into the desired area. 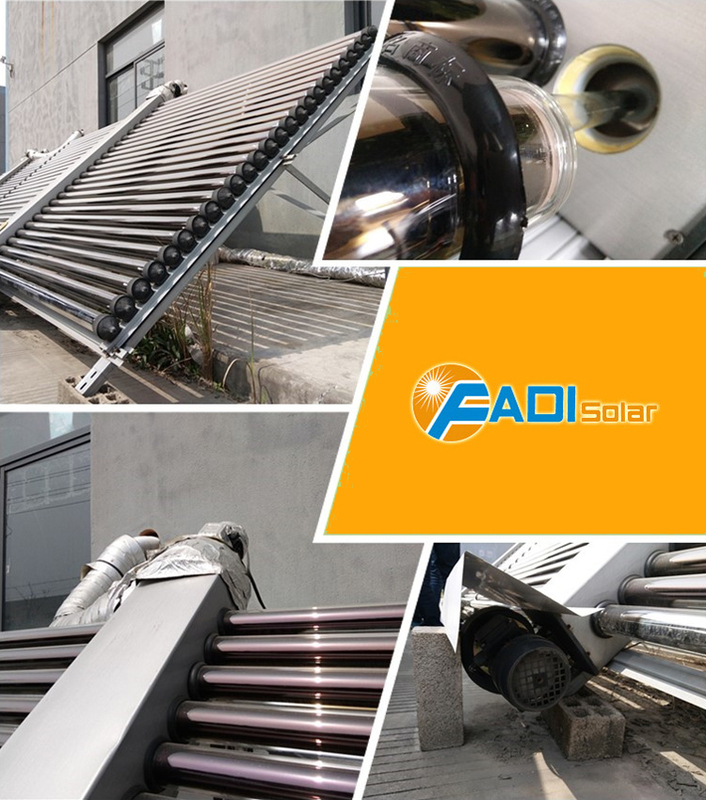 FADI Solar Hot Air Collectors produce zero emissions and can reduce tons of carbon emissions annually. If you have further questions, please do not hesitate to call us today. FADI offer FREE consultations and we are more than happy to answer all of your questions or concerns. 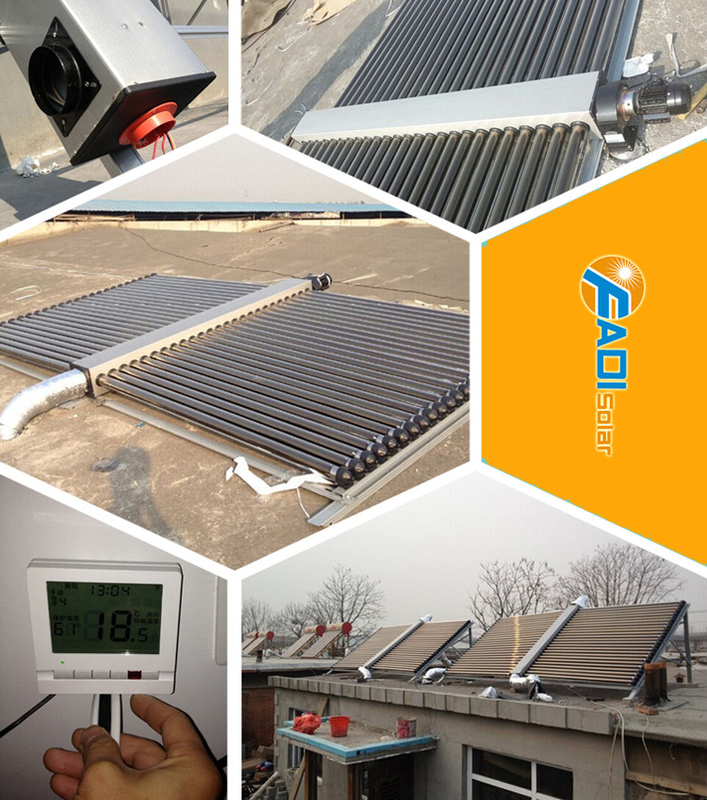 FADI Space HeatingSolar Collector Widly use for food drying with affordable price and durable price. 5. There is TWO inner chest inside the solar collector manifold, one for cold air, another: hot air.6. 6. There is a glass tube(± 1500mm)inside each vacuum tubes.